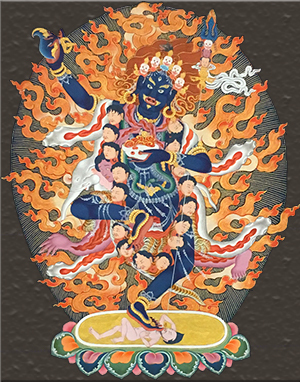 The practice of Throma contains the complete path of the Vajrayana, from ngondro (the preliminary practices) all the way through the Dzogchen (Great Perfection) practices of trekchod and thogal. The Throma-based practice of Chöd removes obstacles, both for our short-term happiness and those hindering our ultimate enlightenment. It carries extraordinary healing power and through its practice we can accummulate merit and wisdom in a vast and rapid way. Merely making a connection to Throma practice brings great benefit and blessings. Empowerment is required to follow the text; however, those without empowerment are cordially invited to join with the sangha for this very melodious practice known for its healing potential. Offerings of food or flowers welcomed. 1) To make on offing online with a credit card follow the links below and from the pull-down “Program Designation”, select tsog or butterlamps.